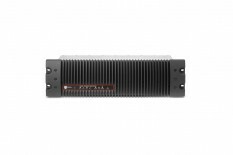 -8 mono or 4 stereo balanced line level inputs and 8 mono or 4 stereo balanced line-level outputs, accessible via easy-to-install RJ-45 connectors or high-density DB-25 ports. 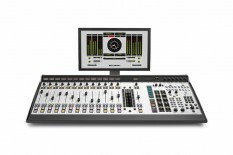 -Inputs are switchable to accommodate consumer level -10dBv or professional level +4dBu. -The short-circuit protected outputs are capable of delivering up to +24 dBu before clipping. -Superior performance specs include switchable 48 kHz / 96 kHz sampling rate, 108dB of dynamic range, <0.005% THD. -Dual Ethernet ports allow connection to fully-redundant networks.  -Redundant power plan auto switches from internal supply to PoE backup power when needed. -Can also draw primary power directly over Ethernet from switches compatible with the IEEE 802.1af PoE standard (such as Axia xSwitch). -Perfect for single-cable deployment in tight locations. -Requires one unused 100Base-T Ethernet port for connection to an Axia network. -Auto-sensing power supply, 90VAC to 240VAC, 50 Hz to 60 Hz. 14 Watts. 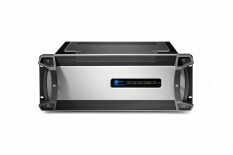 -Noiseless and fanfree; can be conveniently placed adjacent to your audio devices, rackmounted, or wall- mounted. 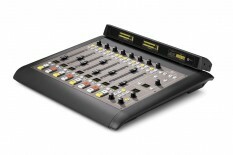 -9.5” x 11” half-rack form factor. Occupies 1RU when rackmounted.